People living in older villas and flats pay higher water and electricity bills because of energy leaks, and faulty plumbing and construction. 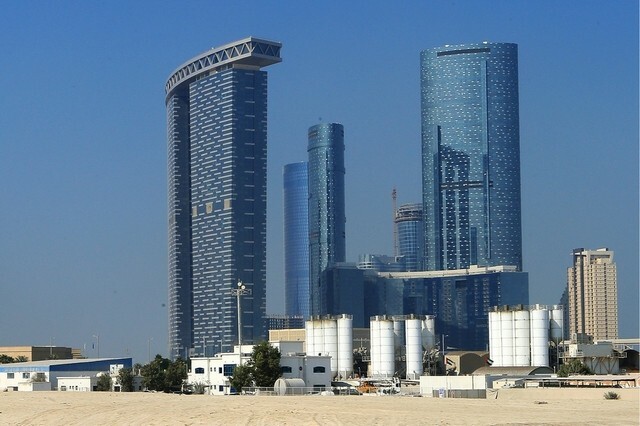 ABU DHABI // While the UAE pushes towards sustainability and conservation in its power supply and new building criteria, older buildings remain “leaky” and far from green. As some residents have discovered, the energy cost of an ageing home can be high. Abu Dhabi resident Hadi Yehya saw his water and electricity bill increase by nearly Dh40,000 in one month. He knew there was a problem. Mr Yehya has lived with his wife and two children in the three-bedroom villa in Zafarana, near the Eastern Mangroves, for more than nine years. The monthly water and power bill averaged more than Dh2,000, but last year it increased to Dh43,140 in September from Dh3,431 the previous month. There were problems from the moment they moved into the 15-year-old building. Mr Yehya, an engineer, says that first there was a leak in the garden. “A major excuse contractors use is sinkholes and apparently we’ve been suffering from a sinkhole for nearly a decade,” he said. Then the problems moved indoors. “The original plumbing in the walls was corroded and then replaced with another plastic network of plumbing,” Mr Yehya says. It was not until six months ago that the leak was finally stopped. “Now we don’t have a leak but we have a huge water bill,” Mr Yehya says. He took up the problem with Abu Dhabi Distribution Company (ADDC) and the Regulation and Supervision Bureau (RSB), both of which are sympathetic and are working with Mr Yehya to set up a payment plan. A major problem is that building is not to the highest standard, says R P, who has been in construction for two decades. His former residence, a five-bedroom villa in Khalifa City A, did not have proper sealing for the windows, meaning that if water can get in, air can get out. “As soon as you don’t have an air-tight frame your power bill is going to increase 10 per cent,” he says. Another problem that he has seen throughout the UAE is waterproofing. “When you build the place you need waterproofing, which is never done properly here,” he says. This can add another 10 per cent to the energy bill. But in places such as Europe, it is a must to be as energy efficient as possible given government-mandated energy allowances. The entrepreneur is restoring a property in Italy and is only allowed 3 kilowatts for his 90-square-metre property. “That’s not even an air conditioner in the UAE,” he says. “I have to be smart with how I use my electricity, being as energy efficient as I can.” He is installing energy-efficient light-emitting diode (Led) bulbs throughout the property, high insulation and double glazing on the windows. He says that buildings are normally designed for a 50-year lifespan but in the UAE it is much shorter, “largely due to the use of cheap materials and poor construction practices”. Each emirate has its own building code, which mostly follows international standards, and more regulations are being passed as the country moves to become “greener”. Abu Dhabi Urban Planning Council (UPC) is in charge of urban development, creating master plans, policies and regulations for new buildings. Unskilled labour and lack of supervision or inspection control at various stages can be responsible, Ms Abu Shahab says. While the UPC regulates all new buildings, enforcing a sustainability rating system, no one is addressing problems in older buildings. Property expert Mario Volpi, chief sales officer for Kensington Exclusive Properties in Dubai, says it is important to understand that these energy-efficiency measures have only recently been implemented. “In the past, buildings were constructed using materials that perhaps could be described by today’s standards as being of inferior quality,” Mr Volpi says. But the rise in innovative systems and materials, such as solar energy or recycling, can be incorporated into the landscape. “This will make our future not only more responsible, but secure for the next generation,” Mr Volpi says.